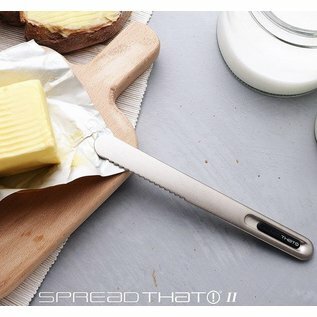 A butter knife that actually melts butter! 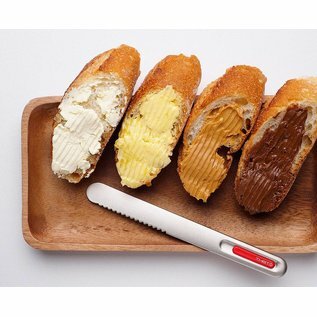 Carving cold butter has never been so easy! SpreadTHAT! 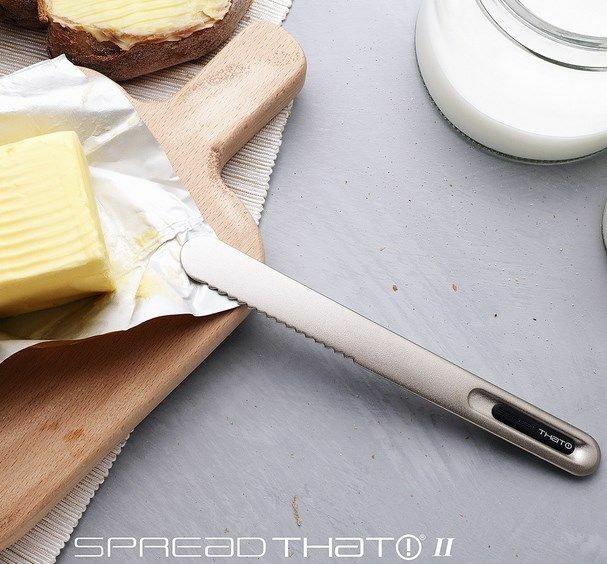 softens butter for quicker, easier spreading by carrying warmth from the palm of your hand to the edge of the blade. 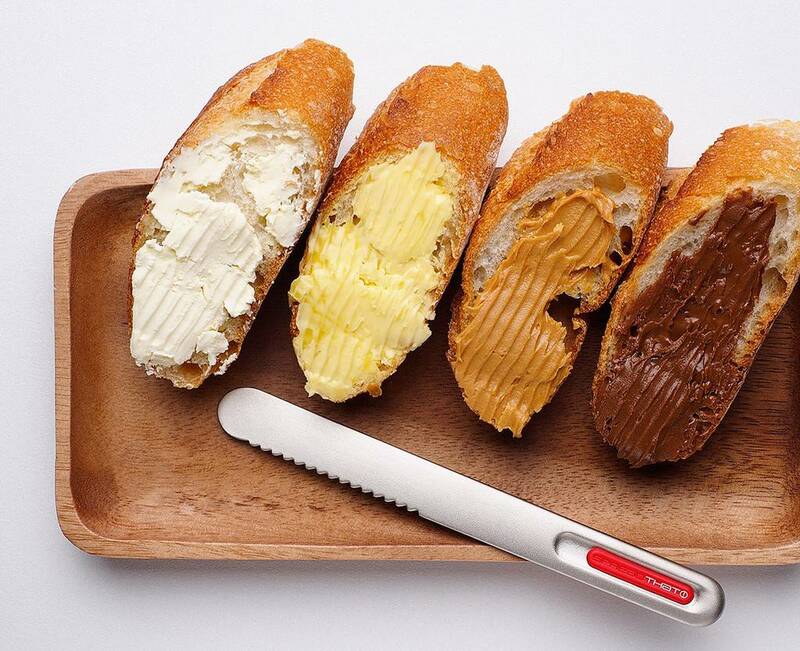 Use the serrated edge to shave off fine curls of butter straight onto your toast, and then gently draw the blade over them for a smoother, more even layer of butter right out of the fridge. No waiting, no clumping – just a better slice of toast, made easy. 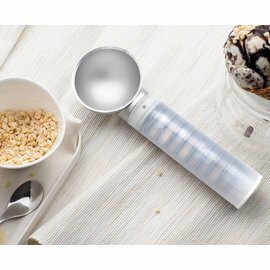 Perfect for: butter, peanut butter, chocolate spread, cream cheese, and more! 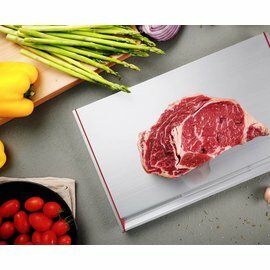 No external heat or electricity required.